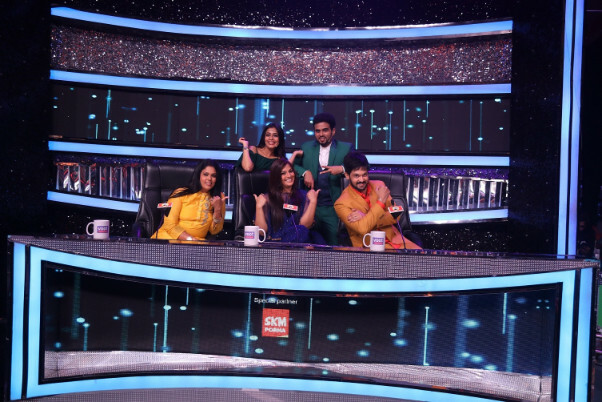 K-Town’s latest sensation and dancing queen Varalaxmi Sarathkumar is all set to pump up the energy in an upcoming episode of Dance Vs. Dance on COLORS Tamil. An avid dancer, Varalaxmi will be seen sharing secrets about her grooves with the contestants on the show even as she dons the hat of a special judge. Marking her entry into Tamil cinema in a dance-oriented role, Varalaxmi has conquered the hearts of cine-goers with her graceful moves and artistry on the silver screen. The stunning actor-dancer was spellbound by the dancers on DVD, gushing over their innovative performances and energy levels. “I had a great time shooting with the contestants of DVD. I am looking forward to seeing the show on air.” Varalaxmi said. With Varalaxmi joining DVD’s expert judge panel led by Nakkul and Brinda Master, the episode is truly going to be a dancer’s dream come true. The excitement went to another level when little kids from children’s home paid tribute to the ‘Tharai Thappatai’ heroine with a special performance. Don’t forget to catch all this excitement on the fifth episode of Dance vs. Dance on December 22 and 23 at 8:00 PM, only on COLORS Tamil.